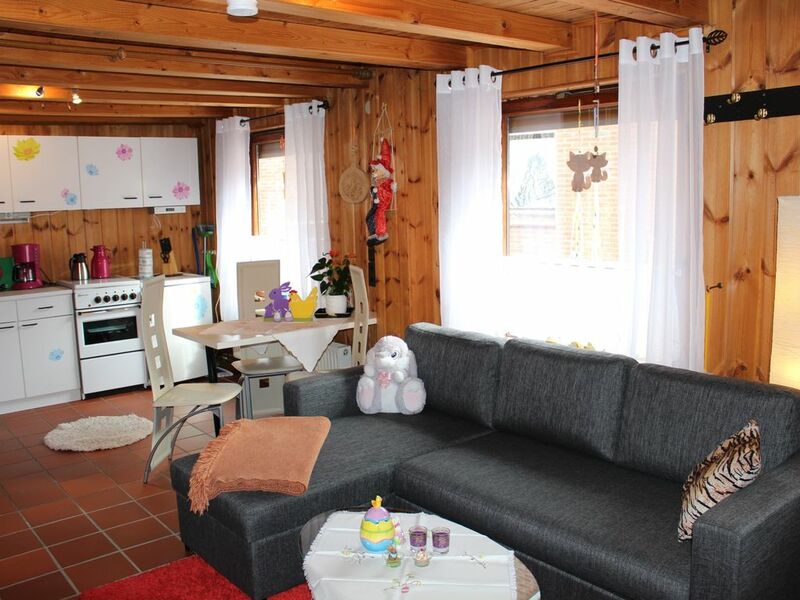 Our cozy apartment is located in the immediate vicinity of the Thülsfelder dam. The apartment is designed to accommodate up to four people. A baby travel bed can be added. The living area is approximately 50 square meters and is distributed in bath / toilet with shower, kitchen, living room with pull-out sofa bed including a large flat-screen TV and a bedroom with a box spring bed. The open kitchen is equipped with oven, refrigerator, coffee maker, microwave, kettle, egg cooker, toaster, radio and all the items needed for daily use. A highchair is also available. The large outdoor area invites you to cozy barbecues. Various seating options are available. Per booking is a one-time service fee of 35, - € for bed linen, towels, electricity, heating, water and final cleaning.